DPhil in International Political Economy, University of Oxford; MSc (distinction) in Development Economics, School of African and Oriental Studies, University of London. 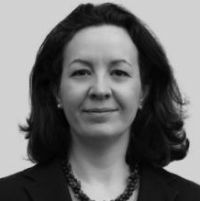 Associate Professor and Researcher, University of Oxford; Director of the Global Economic Governance Programme, a research programme co-hosted by the Blavatnik School of Government and University College Oxford; Academic coordinator of the Oxford-Princeton Global Leaders Fellowship Programme; Fellow of University College. Research examines government practices in asymmetric negotiations in the global economy. Investigates the ways in which small developing countries exert influence even in highly asymmetric negotiations. Former: Ghana’s Ministry of Trade and Industry, Oxfam GB, and UK Department for International Development. Recent Publications include Negotiating Against the Odds: A Guide for Trade Negotiators from Developing Countries, Global Banking Standards and Low Income Countries: Helping or Hindering Effective Regulation? Global Economic Governance Programme Working Paper 91, and When Do Weak States Win? A History of African, Caribbean and Pacific Countries Manoeuvring in Trade Negotiations with Europe Global Economic Governance Programme Working Paper 95.